(1941-) A longtime professor of Astronomy at U of T Erindale, well known for his work in variable stars and astronomy education. Society President (1978-80), and Observer's Handbook editor (1971-81). Recipient of the RASC Gold Medal in 1962 and Service Award in 1977. JOHN R. PERCY (1941-) combines research, education and Society affairs in one very busy life. His stature as a professional astronomer is evident from the dozens of research papers on variable stars he has published, his election as president of the AAVSO in 1989 and his presidency of the Commission on Variable Stars of the IAU. His contributions to the promotion and communication of science to students and the public are second to none. Dr Percy has written a number of papers on the teaching of Astronomy, and co-edited a book on the subject. He has given innumerable talks at schools and to teachers, to clubs and to the public generally. As RASC President in 1978-80, he spoke to all Centres from St. John's to Victoria. Within the Society, he has chaired a committee on adult education, inaugurated "Education Notes" in the Journal, was the first editor of the National Newsletter, and editor of the Observer's Handbook for eleven years. He has been Toronto Centre's Second Vice-President a number of times (a position which he currently holds) and has served the Centre as president. His outstanding contribution to the Society was marked in the presentation of the RASC Service Award in 1977. Percy's leadership has been vital to a number of other organizations including the RCI, the Editorial Board of Science Affairs (a magazine devoted to Canadian Science in the 1960s) and the Science Teachers Association of Ontario. A University of Toronto man to the core, John Percy received the RASC Gold Medal on graduation in 1962 and subsequently earned his post-graduate degrees there. 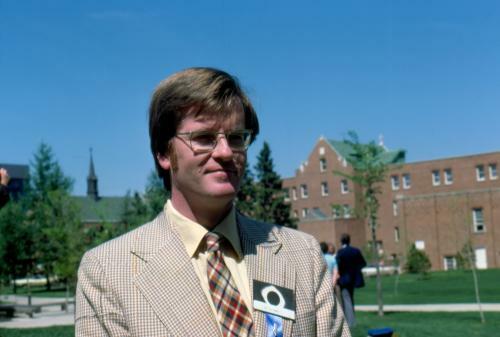 Since 1967 he has been a member of the faculty as a professor of astronomy based on the Erindale campus where he is now Associate Dean and Vice-Principal. Displaying 1 - 4 of 5 items (page 1 of 2).